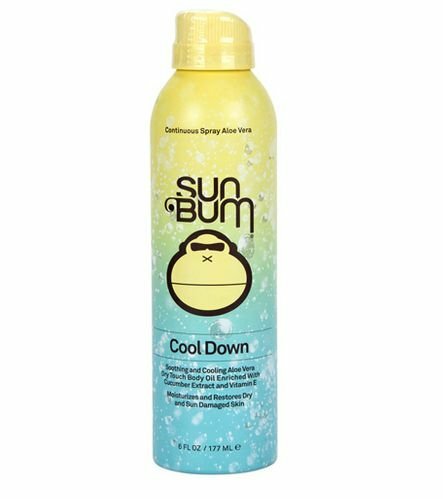 The Sun Bum Cool Down Aloe Spray is enriched with soothing Aloe, Cucumber Extract and Vitamin E, proving an intense hydration to gently restore the skin's natural moisture balance. Restores and protects sun damaged skin. Prevents peeling for a longer lasting tan. 8 FL OZ / 237 ML.